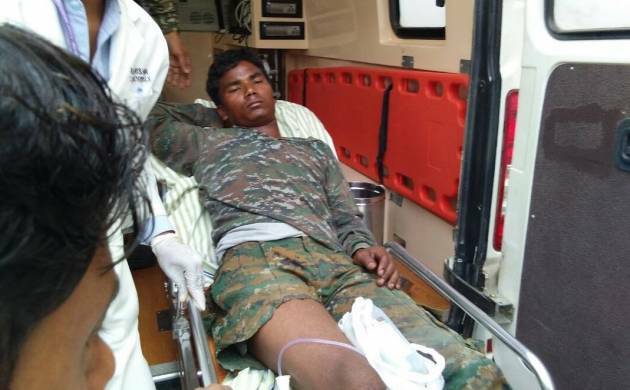 Two DRG personnel have been injured in the ongoing encounter between security forces and Naxals in Chhattisgarh's Bijapur. The encounter, which became around noon, comes almost a month after over 25 CRPF men lost their lives in an ambush by Maoists in Suka district. The injured soldiers have been airlifted by Indian Air Force to Raipur, where they have been admitted in Ramakrishna Hospital. The search operation is currently going on. More details are awaited on this. The deadly assault occurred around 12:25 PM in Kalapathar area of south Bastar region, one of the worst-hit by Naxalite violence.